In honor of National Nutrition Month I am unveiling the newest B.Flavorful blog feature: interviews! My interviews will feature people I admire for making a positive impact in the field of nutrition and dietetics. First up we have my dear friend Edith (Edie for short) Nault. 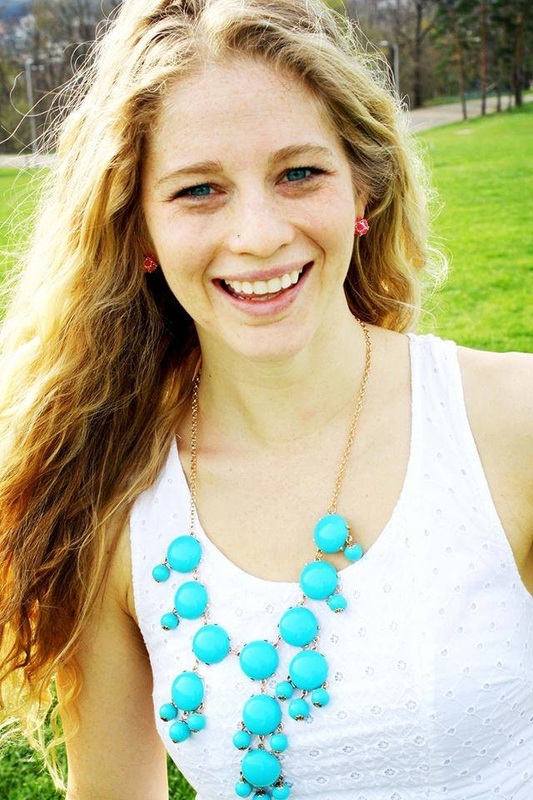 Edie hails from Poquoson, Virginia but currently lives and practices as a registered dietitian in Pittsburgh, PA. She is a consulting sports dietitian, a clinical dietitian at Excela Health and also a wellness blogger at Speedy Edie’s TRI Fuel. Edie received her undergraduate degree from Virginia Tech in Human Nutrition, Food and Exercise and also a masters from VT in Behavioral and Community Nutrition. Impressive, I know! In her spare time she loves to: stay active (Edie runs like a maniac and competes in triathlons on the East Coast), prepare delicious meals, venture out to new restaurants with friends and spend time with her two adorable dogs, Steely and Kale and her fiancé, Ian. Me: Where did you complete your dietetic internship? BC: Where is one place you’d love to go but haven’t been? Edie: The 2016 Olympic trials will be held there and it would be cool to watch. BC: Where is one place you’d love to go again and again? Edie: The location where Dirty Dancing was filmed…because that’s where I got engaged…those were good times. Edie: Noodlehead in Pittsburgh— I love thai…no actually change that, The Palisades (a little restaurant that is about 20 minutes from VT). I like to order their filet mignon, mashed sweet potatoes, asparagus or crispy green beans and their homemade key lime pie with pomegranate ice cream… and generally a glass or 2 of red wine…that place is my favorite, so good! BC: Do you have a nickname and if so, please elaborate? Is there a story behind it? Edie: Speedy Edie, that’s what people call me. They do that because it rhymes. BC: Could it be due to the fact that you’re a triathlete? Edie: I love sweet potatoes. You can do almost anything to them: you can make them into chips, fries, put them in your oatmeal… you can make them into a meal or a side, sweet or savory. Edie: Hands down, it would probably be a perfectly ripe peach. When you bite into it and the juices run down your face. That’s when you know it’s good. Edie: Coffee, strong. Sometimes I add milk. Edie: I’ll use whatever I have on hand…usually 1%. Edie: Cake. I love red velvet cake. It is amazing. Edie: If I was a food…what would I be? I would probably be Ben & Jerry’s Fish Food ice cream – I am energy dense but I can also satisfy a chocolate craving. Edie: I really like sports nutrition, especially because I am an athlete myself – I like that you have the ability to enhance your performance with whole, natural and healthy foods. Also I love food. I wasn’t a big cook in high school or college and then midway through college I started to cook and really grew to love cooking and experimenting in the kitchen. Edie: Oh my gosh, hmmm, the first nutrition book I ever got was in 2006/2007, someone recommended Nancy Clark’s Nutrition Sports Nutrition Guidebook. Suddenly a door opened and I realized there was a whole career in performance nutrition that you could do. BC: What is the best advice you’ve received? Edie: If you don’t try and go for it, you have a 100% failure rate, so always go and try your best because you don’t know what will happen if you do. BC: What is the best advice you’ve given? Edie: Recently, I have been working with a lot of patients who are struggling to lose weight or maintain weight loss and I tell them, “It’s the not the destination, it’s the journey that really defines who you are and where you came from”. Edie: My coach, Jim McGehee with One-on-One Endurance, used to have me get on a computrainer** and it would be a 10 mile (all effort) ride – it was a test to show where you are fitness-wise. It tests out where you are and improvements you can make. Edie: I really like Nike for winter running apparel, they look good and they’re very functional. And I have to say for my sports bra, Moving Comfort makes the best sports bra and gets the job done. BC: If I looked into your closet, how many pairs of sneakers would I find? Which brands are your favorite(s)? Edie: Oh my gosh, you’d probably find, actually not that many, you’d probably find 5 pairs of sneakers and 2 pairs of bike shoes. Generally Asics Nimbus… surprisingly my fiancé has got me beat with 20+ pairs. Edie: Take my dogs for a run, have a glass of wine with chocolate and watch a movie with Ian. BC: Finish this sentence: I’m happiest when…..
Edie: I’m with my family and my animals and/or training. Edie: I don’t think I can get everything done that I perceive I have to accomplish. Edie: Don’t get brown lowlights for your hair. Just don’t. Edie: That would be to become a full time sports dietitian. I would be working with weekend warriors, collegiate and/or professional athlete levels. Edie: It was to get engaged, but that happened (this past summer). My top personal goal would to become extinct (get married) because now I am an endangered species (engaged). If that makes sense? BC: List 3 things you do each day to stay on track with your health and wellness. Edie: I don’t view myself as super organized but I pre-plan my meals and snacks a lot. My car is always fully stocked with snacks (fruit, nuts, granola bars, yogurt—now that it’s winter it’s a frozen yogurt surprise). I have 2 running outfits I could change into in my car, at all times too. I also try and give myself a little mental pat on the back even when I get something small accomplished throughout the day. BC: If you could cook a meal with one person, who would it be and why? Edie: I would cook a meal with my dad’s mother because I never got to cook a full meal with her before she passed away. Edie: It’s probably, “Is this [blank] food good or bad”, I don’t think one food is good or bad…you can eat everything in moderation. I always like to explain the importance of consuming a wide variety of foods especially if it doesn’t come out of a box of wrapper. For frequent post updates and nutrition tidbits from Edie follow her on Facebook @ Speedy Edie’s TRI Fuel!